Do you struggle with keeping your kitchen organized? We know it can be difficult, especially with children and family members digging through the pantry or putting dishes back in the wrong cabinet. To help you stay organized, we’ve broken down our favorite tips and tricks for kitchen organization below! The trick to keeping your pantry organized is to give every item a clear place, so everything ends up back where it belongs. To do this, we recommend grouping items together and having a clear storage system. Our custom pantry storage systems make this easy! 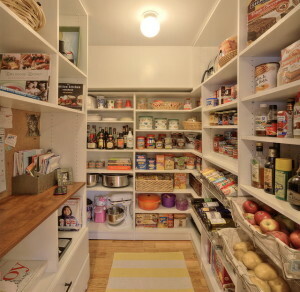 With rotating and extending shelves, you can have easy access to snacks, cereals, and ingredients. Our custom spice racks will make cooking the perfect dinner a breeze. 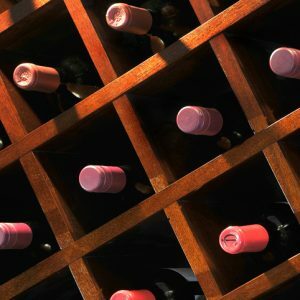 We can even install a wine rack in your pantry! 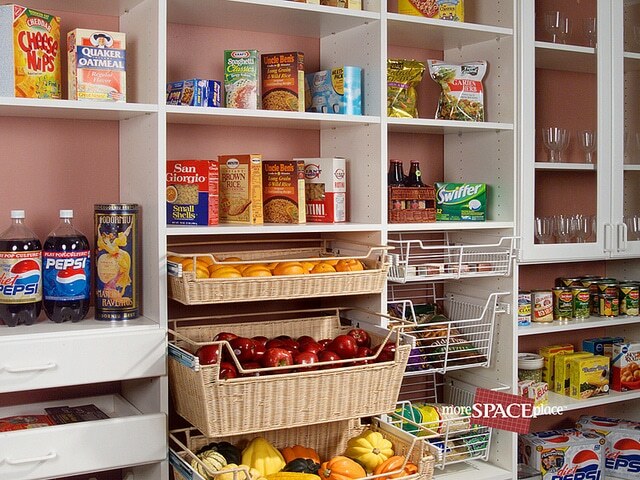 Shelves and dividers can also help you create enough storage for all the contents of your pantry. Have you heard of “intuitive eating”? Try intuitive organizing! That means putting the contents of your cabinets in intuitive places – places that make the most sense. Keep everyday cooking utensils on-hand, such as in an easy-to-reach drawer or even hung above the stove. Everyday plates and bowls should be grouped together in main cabinets, while baking accessories, pots, and pans can be stored in more out-of-the-way spots. Bigger, infrequently used appliances can also be stored away to keep your kitchen counters clear. 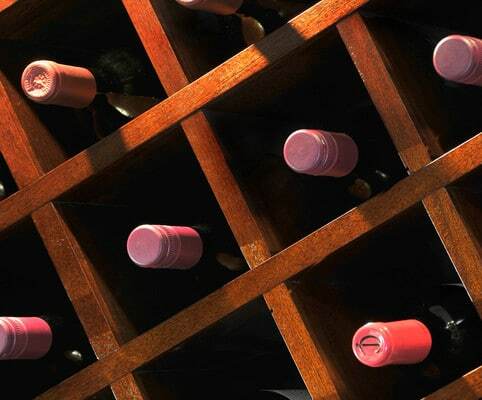 To keep your fridge organized, we recommend cleaning it out at least once a month. This ensures that your fridge doesn’t get cluttered with expired food and leftovers. Keep produce and other quick-to-spoil items in easy to reach drawers, where they’ll stay fresh longer. Group meat and cheeses together, and be sure to freeze meat you don’t plan on using within a few days. Leftovers should take center-stage in your fridge to ensure they’re eaten, rather than being forgotten in the back of the fridge. 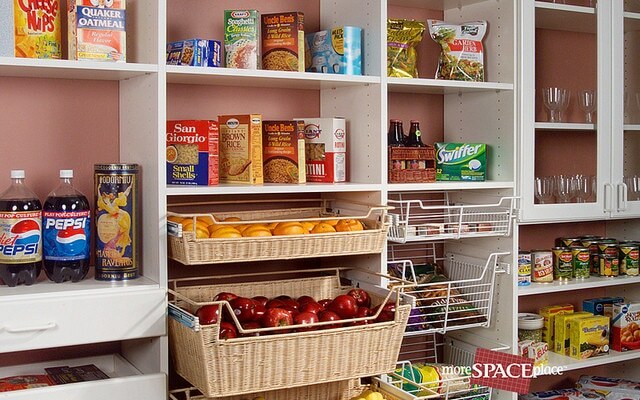 To get started on a custom storage solution for your kitchen, contact the experts at More Space Place today! We’ll work with you to create a storage solution designed around your lifestyle and needs. 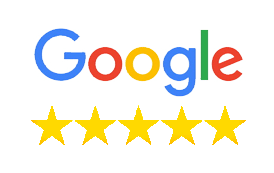 We also have three convenient locations in Sarasota, Bradenton, and Port Charlotte. Feel free to stop by any of our showrooms to view our various custom storage models! Any time a homeowner considers a home improvement project, two questions typically come to mind. Does this home improvement make the best use of the space I have? And, will I get my investment in the project back when it comes time to sell the house? Let’s take three popular projects and look at them through the lens of these key factors. Home Office Build-Out. With the installation of unique home office furniture, it’s possible to create a workspace in a spare bedroom, or even in an unused corner in a larger room of the home. In the case of the bedroom, the home office build-out is a home improvement that promotes a dual purpose for a single space. That’s a particular benefit in smaller homes that have only one or two bedrooms. While a home office build-out doesn’t rank as high on some home improvement lists, creating a space featuring unique home office furniture will often return about 70% of the money spent on it when the house sells. What’s more, it maximizes your home’s use of space at the same time. Kitchen Remodel. 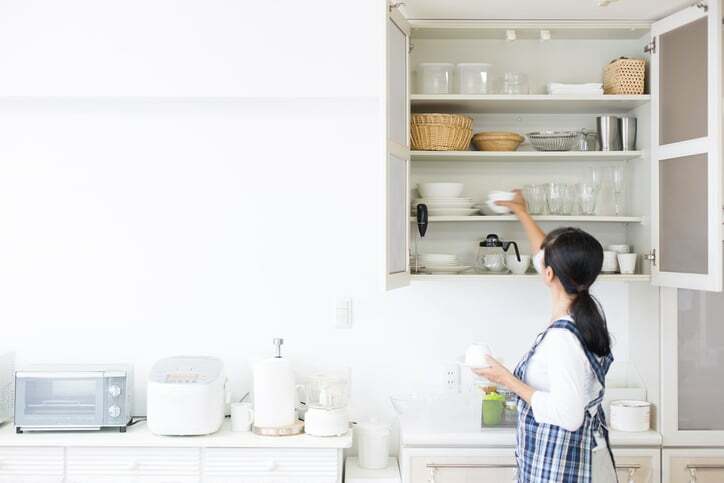 On the space-saving side, a well-planned kitchen remodel will incorporate the most efficient ways for storing food, kitchen tools, cookware, plates, glassware, and the like. 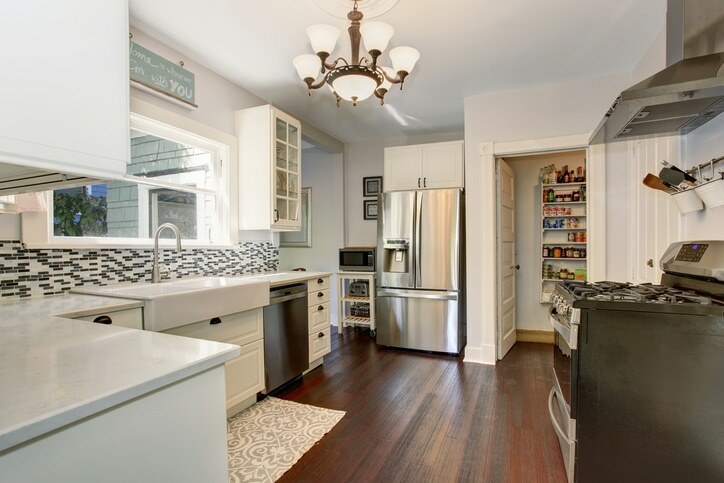 A kitchen home improvement project almost always takes place within its original footprint. 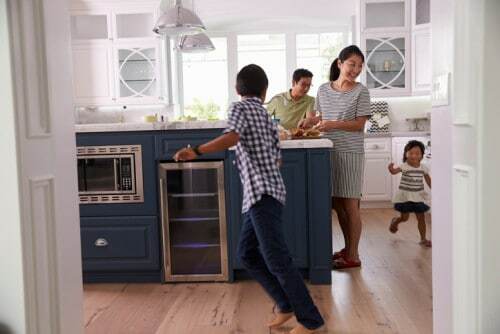 This space often becomes a main gathering place at meal times, during parties, or just for a chat, so many kitchens are laid out to accommodate socializing. 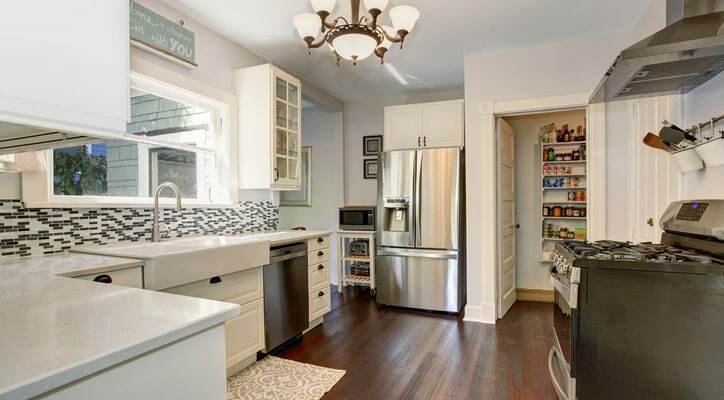 In terms of recouping cost, the kitchen remodel has long been at or near the top of the list, with most of these home improvement success stories returning 90% or even 100% and up of the money spent on them. Pantry Makeover. 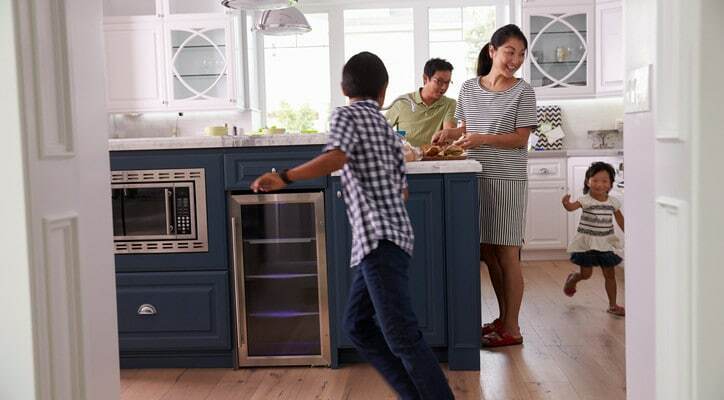 Because it’s stationed close to the kitchen, a pantry project and its costs are often folded into the kitchen remodel, so as a whole, a kitchen/pantry remodel should be well worth the money invested when a house goes on the market. 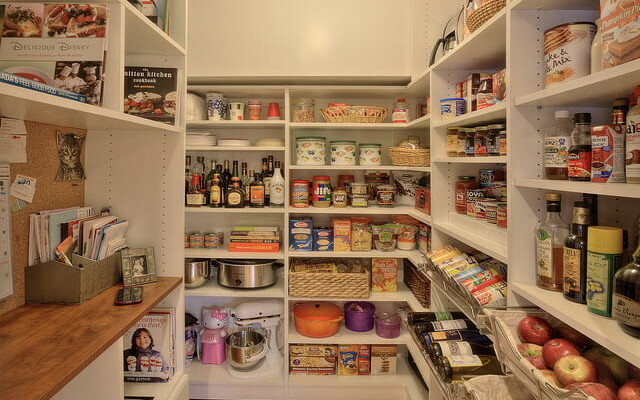 Where a well-organized pantry shines, of course, is in the efficient use of its space. 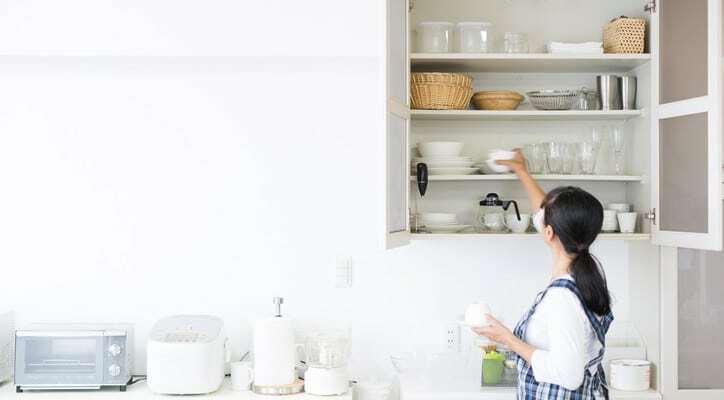 Shelving, bins, cabinets, and racks placed properly in this comparatively small space make life easy for the head of the kitchen, or anyone else looking to find an item quickly. The home office, the kitchen, or the pantry – upgrading any or all of these areas can add to the comfort and utility of a home. Whether you can resell the upgrade for close to its cost, and whether the remodel or makeover you’re considering is the best possible use of space, varies widely from home to home.